New Caledonia vs Fiji Lineups: From the Australia & Oceania, New Caledonia and Fiji meets each other on June 11th at Stade Numa-Daly Magenta. It is the fourth match for both of them in the group stage on Round 3. New Zealand leads the standing table by scoring 10 points with the help of six goals in three winning games against New Caledonia and Fiji. New Caledonia have lost only one match and draws two. Inversely to the Fiji, the team have drawn only one match and lost two games in the round 3. New Caledonia one-point leads on the table over Fiji after a draw against New Zealand. The top teams of Group A and B will meet each other two times in the Playoffs to qualify for the 2018 FIFA World Cup Russia. In the Last five matches, New Caledonia have won two matches, draws two and lost one. When seen it on last twenty matches, the team have won nine matches, lost seven and drawn four matches. 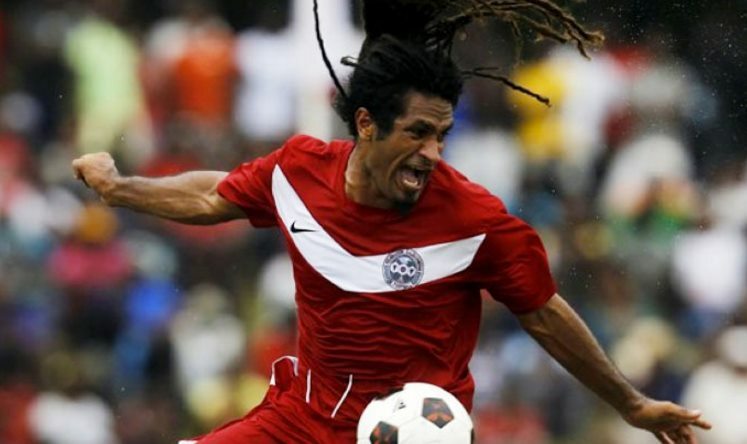 Like the same in the last five matches of Fiji, the team won only one against Solomon Islands, lost two and draws two. While focused on the last twenty matches, the team have won six matches, six draws, and eight losses in their list of records since 2011. New Caledonia Team: 20. Thomas SCHMIDT (GK), 2. Romaric WALONE, 3. Iler HNAUK, 4. Pierre KAUMA, 5. Jeremie DOKUNENGO, 6. Geordy GONY, 7. Joel WAKANUMUNE, 8. Jacques WAMYTAN, 10. Shene WELEPANE, 11. Mone WAMOWE, 12. Richard SELE, 14. Didier SIMANE, 15. Joseph ATHALE, 16. Cedrick SANSOT, 17. Willy WAIA, 21. Emile OUNEI, 22. Roy KAYARA, 23. Mickael ULILE. Fiji Team: 1. Tevita KOROI (GK), 2. Vuniuci TIKOMAIMEREKE, 3. Kavaia RAWAQA, 4. Kolinio SIVOKI, 5. Remueru TEKIATE, 6. Amani VALEBALAVU, 7. Epeli SAUKURU, 8. Christopher WASASALA, 9. Setareki HUGHES, 10. Dave RADRIGAI, 11. Waisake TABUCAVA, 12. Saula WAQA, 13. Sitiveni CAVUILAGI, 14. Laitia TUILAU, 15. Samuela KAUTOGA, 16. Laisenia NAIOKO, 17. Iosefo VEREVOU, 18. Madhwan GOUNDER, 21. Roy KRISHNA, 22. Beniamino MATEINAQARA (GK). *Confirmed lineups will be updated Shortly! However, both of the teams have faced each other as five times. In that, New Caledonia won two games and three other matches went with the final results of the draws. Recently, both of these two teams met each other on last week and ended with the result of the 2-2 draw. As per the prediction, New Caledonia have a major chance to win this game against Fiji. Though, Fiji will give the toughest game to New Caledonia for their win too. Let watch the game on Live TV and Online. If you are going to watch this match at Stade Numa-Daly Magenta, then leave your comments here below and your prediction. Stay tuned for the more latest updates as the goal highlights and final result score of this match.